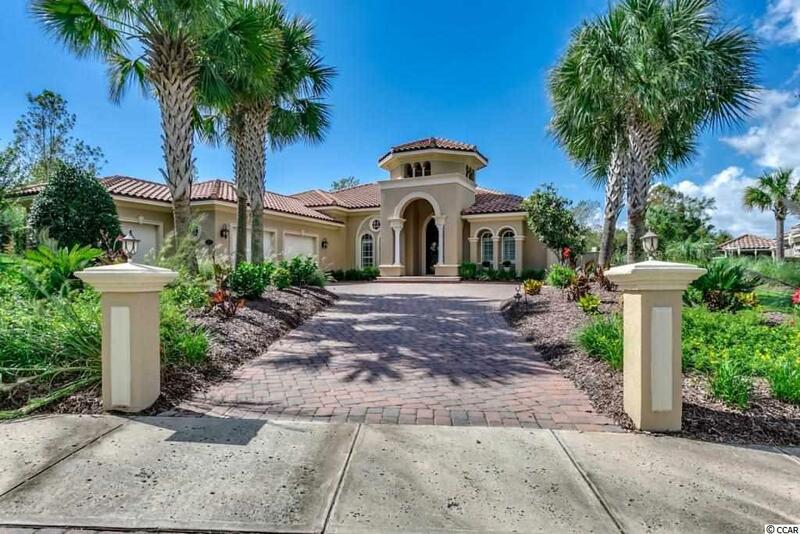 GORGEOUS MEDITERRANEAN STYLE HOME BUILT TO PERFECTION WITH STEEL-FRAMED STUCCO CONSTRUCTION AND HURRICANE RESISTANT METAL DOORS AND WINDOWS FAR SUPERIOR TO TYPICAL NEW CONSTRUCTION HOMES TODAY. 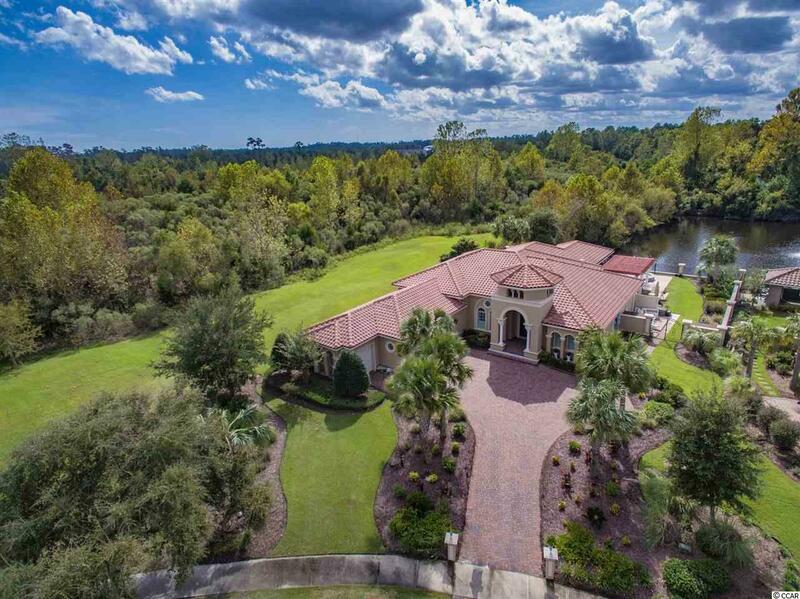 THIS LUXURY RESIDENCE IS SITUATED ON A PREMIUM LOT ADJACENT TO 200 FT PRIVATE COMMON AREA GREEN SPACE AND LOCATED BEHIND THE HOME IS 6+ ACRE STOCKED LAKE. FRESHLY PAINTED EXTERIOR AND NEW HVAC SYSTEM INSTALLED 2018. HOUSED IN OVER 2755 HT SQ THIS FABULOUS SINGLE LEVEL 3 BED, 2 FULL BA, 1 HALF BA OFFERS 2 CAR GARAGE AND GOLF CART GARAGE/WORKSHOP PLUS 2 OUTSIDE STORAGE UNITS. EXCLUSIVELY PRIVATE OUTDOOR LIVING SPACE WITH HEATED 16X32 GUNITE POOL AND 10 FT DIAMETER JACUZZI (ELECTRIC GATE BEHIND THE POOL THAT LEADS TO THE LAKE) - STEP OUT ONTO THE PHANTOM SCREENED LANAI OR THE EXTENDED OPEN LANAI LEADING TO THE OPEN 6 COLUMN PERGOLA WITH OUTDOOR KITCHEN FEATURING TILE BAR, REFRIGERATOR, FIRESTONE LEGACY CONVECTION RANGE WITH TOP-SIDE BURNER, AND 6X5 CASA GRANDE STONE FACED GAS LOG FIREPLACE. FOR THE RIGHT PRICE ABOVE AND BEYOND LISTING PRICE THE SELLERS WILL CONSIDER SELLING THE HOME FURNISHED. INTERIOR UPGRADES GALORE INCLUDING BEAUTIFUL TRAY CEILINGS AND CROWN MOLDING THROUGHOUT, DECORATIVE CEILING IN THE OFFICE, ARCHITECTURAL COLUMNS, FIREPLACE, TRANSOM WINDOWS, DESIGNER TILE THROUGHOUT ALL LIVING AREAS WITH CARPETING IN THE BEDROOMS, AND MORE. THE GOURMET KITCHEN OPENS TO THE GREAT ROOM, BREAKFAST NOOK, AND LIVING AREA PERFECT FOR ENTERTAINING AND OFFERS PANELED KITCHEN AID APPLIANCES, CUSTOM CHERRY CABINETRY WITH ADDED CLASSIC GENIE SHELF DRAWERS, 5 BURNER GAS STOVE, WINE CHILLER, GRANITE COUNTER TOPS, TILED BACK SPLASH, OVER SIZED PANTRY, AND SPACIOUS BREAKFAST BAR. FOR THE RIGHT PRICE ABOVE AND BEYOND LISTING PRICE THE SELLERS WILL CONSIDER SELLING THE HOME FURNISHED. MAKE YOUR APPOINTMENT TODAY, YOU MUST SEE THIS HOME TO BELIEVE IT! © 2019 Coastal Carolinas Association of REALTORS® MLS. All rights reserved. IDX information is provided exclusively for consumers' personal, non-commercial use and may not be used for any purpose other than to identify prospective properties consumers may be interested in purchasing. Information is deemed reliable but is not guaranteed accurate by the MLS or The Hoffman Group. Data last updated: 2019-04-25T08:20:22.443.